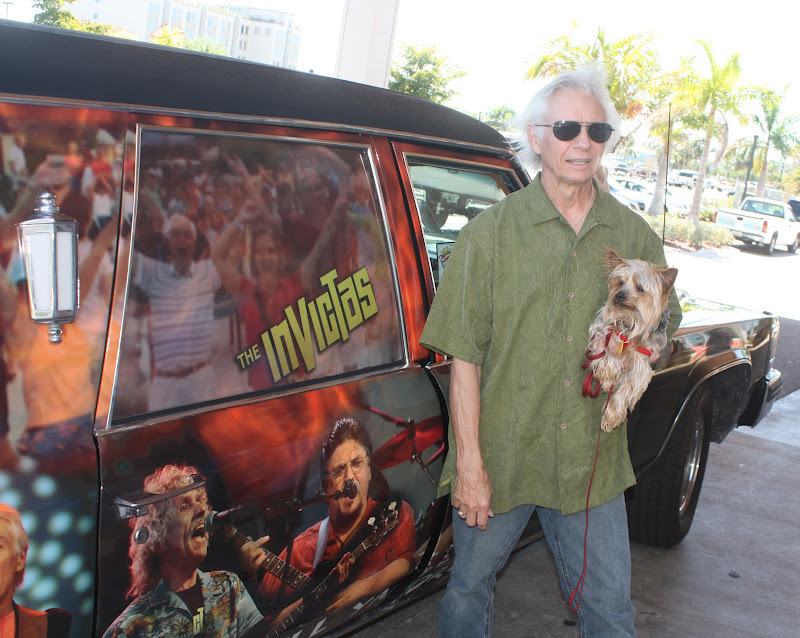 Spotted outside the Crab House today, lead singer Herb Gross of the Invictas. Seen here in front of their Big Caddy Hearse. They will be playing the Punta Gorda BBQ at Laishley Park on Saturday night.